My first offering is a short story about my early days as a Kinesiology student and an amazing result I was able to achieve for myself with only a few months of training! The intention of this story is to highlight the magic of Kinesiology, and that you don’t have to live in pain or any other forms of dis-ease. Your body holds the answers to both whatever is going on that’s causing you to feel less than well and vibrant, and how to resolve the problem, too. Kinesiology is a powerful method of communicating with your body to facilitate healing and relief. 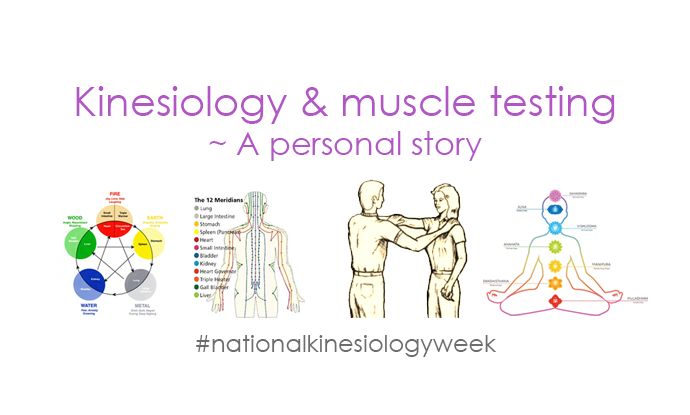 Kinesiologists use muscle testing as the main tool to understand and work with your body and energy. I’ve often referred to muscle testing as “the secret language of the body” that enables us to work with both your conscious and sub-conscious mind. The very first form of muscle testing that we learn in Kinesiology school is called “full body testing”. At the time of the story I’m sharing in this little audio clip, I’d only learned full body testing. I was excited and inspired with the way muscle testing allowed me to get an answer to any question I wanted around health and wellness. 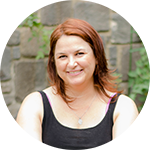 I was amazed that with a handful of protocols, and very basic “yes/no” muscle testing, I was able to work out what was going on and find a way out of pain, simply and easily. It wasn’t something I’d planned. It occured as a result of being in pain and wanting to be out of pain, and became a wonderful learning experience about the power of Kinesiology. Over the years of study and practice I’ve learned many subtleties including: making sure the client is present, the brain is switched on, there’s no suppression or surrogation, and more. The main muscle we use as an indicator muscle in Kinesiology sessions is called brachioradialis, however there are many other muscles we use in the body for specific protocol work. Why do we use certain muscles and not others? There are also 2 other important meridians – the governing vessel and the conception vessel – which are the yin and yang repositories. If you’re having adrenal issues, we’d work with muscles that are connected to the kidney meridian such as the sartorius muscle. Why? Because the adrenal glands are located on top of the kidneys. How does working with these muscles help? Everything in the body is interconnected. Everything. Remember the lyrics of the song “Dry Bones”? Oh, hear the word of the Lord! If there’s a block or a disconnect somewhere in your system, it just makes sense that things stop working as effectively. What can cause blocks in our physical or energetic bodies? Stress, poor nutrition, shock or grief. Anything that causes temporary dysfunction on some level. Given that Kinesiology is a about working with your body to restore balance and wellness, muscle testing helps to narrow our focus to the area of the issue specifically. If there’s a broken light globe in the kitchen, you’ve got to go into the kitchen to fix it, right? There’s no point fixing light globes elsewhere in your home and expecting the kitchen light to suddenly start working. So what gets us into the context of working with specific issues in the body? Working out where the problem is (what room in the house needs attention), what needs to be resolved (the light isn’t working) and working out what needs to be done (changing the light globe). We work out where the problem is: organs, glands, hormones, cytokines, chakras, layers of the aura etc. We work out what needs resolving: emotions, trauma, anxiety, depression, belief systems or some other stressor. And then we work out what needs to be done: re-balancing your HPA (hypothalamus-pituitary-adrenal) axis, gathering information you need to bring to your conscious awareness, acupressure/meridian therapy, sound therapy, and so on. Basically, whatever your body might need to release whatever is getting in the way. But the coolest thing is that we gather the information to work out what’s needed from your body, via muscle testing. So I hope you find this little insight into muscle testing to be both interesting and useful. Perhaps it’s even helped you to understand a little more what’s going on in your Kinesiology sessions! 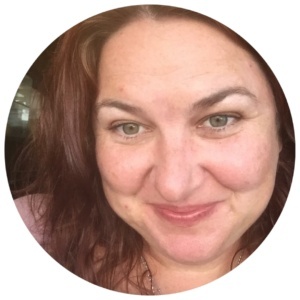 Amanda also facilitates the popular Facebook group - Empowerment for Sensitive Peeps - to support all highly sensitive people and emerging empaths.